10 Tips for Math Success? Home > > General Topics 10 Tips for Math Success? Many students feel like knowing how to do well in math is an inborn skill, something that cant be learned. But the truth is that anyone can be successful in math – they just need the right strategies. 1. Do all of the homework. Dont ever think of homework as a choice. It is the most important way that students practice and master the concepts taught in class. Set up a regular time and place, that make doing the homework with JOY. 2. Fight not to miss class. Math class moves fast with teaching a new concept every day. What students do today builds towards tomorrow. Math punishes absences; to keep up, students have to make time to come back and learn what they missed. So if theres an optional appointment to be made, take care not to schedule it during math. Find a friend to be your study partner. We all have reasons for legitimate absences. So find a friend who will take good notes when youre gone and will call that night to fill you in on the homework. This is good practice for the real world, where building positive relationships is necessary to thrive. In more advanced classes, its a good idea to build a study group to practice for tests. 3. Establish a good relationship with the teacher. High school teachers have up to 175 students, so its important to distinguish yourself. During the first week of school, introduce yourself. Let your teacher know that you are interested in her class, and welcome the opportunity to learn. Ask questions that show youre paying attention. Parents should also introduce themselves, by going directly to the schools attending parent teacher meeting. Teachers respond best to students who show that they care about the class. 4. Analyze and understand every mistake. Our culture has become perfection- focused, and its tempting to ignore our mistakes. Students want to pass over a mistake made on homework or a test, to just let it go. But its important to fix mistakes and understand why they were made; otherwise were doomed to repeat them. Take time to figure out the thinking behind a mistake, and figure out how to do it right. Ask the teacher if you’re unclear. In advanced classes, it can be helpful to write a paragraph of reflection about why errors were made. 5. Get help fast. If a student realizes that something is difficult, he should seek as much help as possible as quickly as possible. Teachers are very receptive to requests for extra help. Straighten out misunderstandings before they start to snowball. 6. Don`t swallow your questions. Questions are the vehicle by which we learn. If you have one, ask it. Chances are that many of your students have the same question. Saying it out loud will help you, your classmates, and the teacher. Asking good questions is a lifelong skill, and school is a safe place to practice. The more questions we ask, the easier it gets. A good teacher will respect all questions. If you feel that your teacher embarrasses you for asking a question, talk to your parents and have them tell the administration; this is a serious problem. 8. Basic skills are essential. Quick: what is 9 times 7? To be successful, students must be able to answer this correctly in their sleep. The multiplication tables are the basis for most high school math problems. If your child doesnt know them, practice!. 9. Agebra must be mastered. Algebra skills are crucial to later math courses. Students must master skills like solving systems of equations, graphing, slope, and simplification of radicals. Dont push students to take Algebra until their teacher says they are ready. And if their Algebra grade is below a C, strongly consider re-taking the class. Even in Calculus, most problems consist of one difficult step, followed by ten steps of Algebra. 10. Understand what the calculator is doing. Its not enough to know how to use the calculator; students need to know what the answer means. They should ask themselves what the calculator is doing for them, and always analyze the calculators answer. For instance, if the teacher asks for “the square of negative three,” many students will type in “-3^2” which gives the answer “-9.” But the real answer is “(-3)2”, or 9. Students should play around with their calculators and become familiar with the way they work. 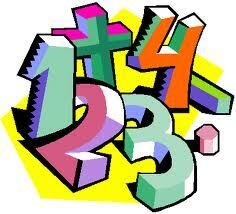 In todays highly technological world, math classes have taken on a new level of importance. Brodkeys tips can help every student do her best in every level of math. No matter what college or career a student is considering, doing her best in math will maximize her options for the future.